Having your ceilings painted is a sizable job that takes some skill and know-how to do it correctly. We have been painting ceilings for over 20 years and have a team of 4 people that can get the job done quickly as well as professionally. 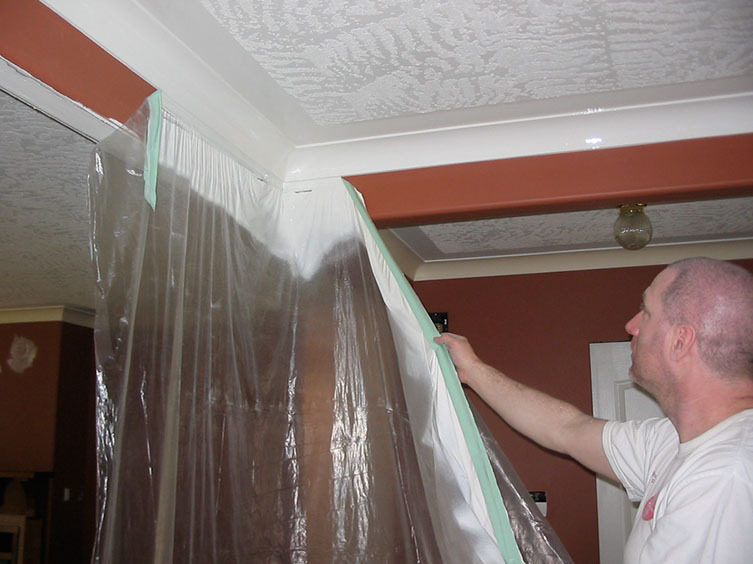 We Paint smooth or textured ceilings in residential homes and can paint the ceilings in both occupied and unfurnished homes. We also paint commercial ceilings, open truss, high ceilings, vaulted ceilings. you name it we can paint it. Just give us a call. I work with a crew of three other painters and together we can paint up to around 3000 square foot of ceilings in one day even if the home is fully furnished. We paint flat or textured ceilings, ceilings that are new and just drywalled, we also paint old ceilings, water damaged, smoke damaged, even greasy ceilings like you would find in the kitchen of a commercial restaurant. We know how to make it turn out beautiful.